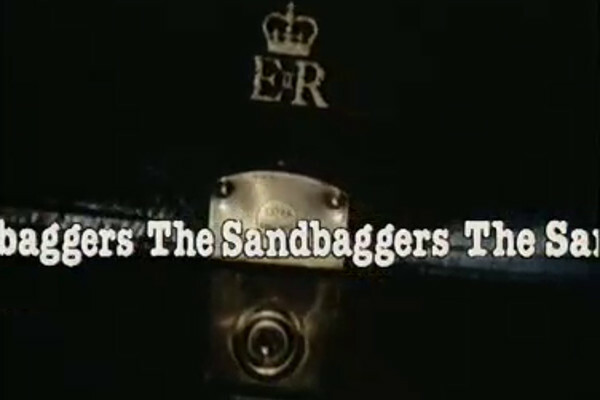 The Sandbaggers was an espionage series that ran on ITV from 1978-1980. Headlined by some solid actors and enlivened by striking scripts, it remains a highlight of the period. Adding to the mystique and enduring legacy of the programme is creator Ian Mackintosh's disappearance. A former Royal Navy Officer, those closest to him, even family members, believed that he was involved in the spy services. (Indeed, a season two script was reputedly vetoed because it contravened the Official Secrets Act). In July 1979 a private plane that Mackintosh was flying with two friends disappeared, and the writer hasn't been seen since, presumed dead. However, in a series of events that could almost mirror one of the plots of the programme, the plane took deviations from its expected route, and rumours that all was not as it seemed still persist to this day. The impact this left on the series was that, with only four scripts of the final season finished, other writers were called upon to come up with scripts to complete it. With the series so heavily the work of one writer, it's almost an impossible task, and this first of two scripts by Gidley Wheeler comes in last place almost by default. Although there are serious attempts to tie it in to the continuity of the series, even referencing events of the previous episode, what harms the story is that the central plotline is, in effect, "external" to the main characters, with none of them in any immediate danger from proceedings. It perhaps doesn't help modern viewers that this is one of the most KGB-orientated episodes, causing it to be more of a television relic than other examples; the final minutes of a taped plea against the regime, running through the end credits, may be seen as either an innovation or overbearingly trite, depending on point of view. 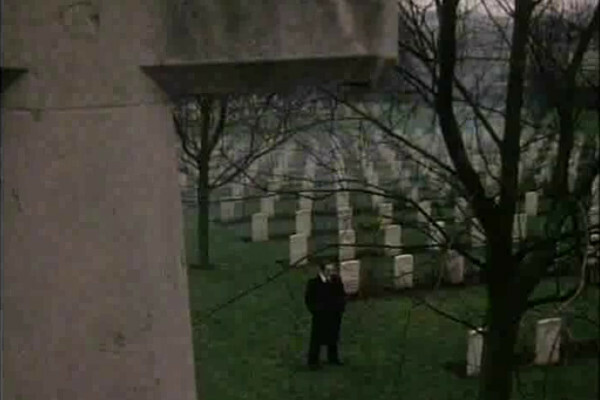 Sometimes We Play Dirty Too sees the Secret Service Director of Operations Neil Burnside (the outstanding Roy Marsden) send his main intelligence officer – or "Sandbagger" – out to investigate the death of a former spy in Prague. Sandbagger #1 Willie Caine (Ray Lonnen) discovers that there's more to events than are being disclosed. Arden Winch's sole script for the series presents a very pedestrian, standard spy plot and, while not quite as dreary as My Name Is Anna Wiseman, contains little to lift itself above the mundane. What's notable is a lack of continuity within the series – the labyrinthine political debates between Burnside and his superiors is absent, and his friend, cuddly CIA agent Jeff Ross (Bob Sherman) gets involved, despite him being on bad terms with the department in his previous appearance. Most crucially, the plot is again one with little impact or conflict for the main characters who, after three seasons, the viewer has become invested in. One of two episodes (along with Operation Kingmaker) that attempted a more overtly comedic take on the series, Unusual Approach sees Burnside ordered to take a holiday after two years without leave. The unlikely upshot is that he's booked on a trip with two of his stuffy superiors, with the laughs being milked for their full value. 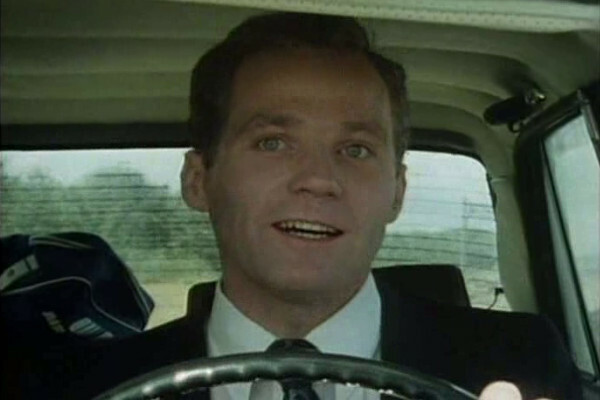 In their absence, the remaining Sandbaggers are tricked into helping out the CIA, with Sandbagger #2 Mike Wallace (Michael Cashman, better known as Colin from Eastenders or, to cult TV fans, the pilot from Doctor Who's Time-Flight) sent on a dangerous mission through Russian borders. Although a more light-hearted episode is not unwelcome, and the low placing here is more a reflection of the quality of those above it, it does show that by the final season the programme was beginning to lose its bite, and Mackintosh's disappearance meant they were forced to quit while they were still ahead. Many TV shows have opening episodes that are weaker than the rest of the series as they struggle to introduce the concept and all the cast. Although this first episode of The Sandbaggers rewards more on rewatching, it possesses the necessary exposition that can unfortunately make it seem more plodding than the rest of the programme. 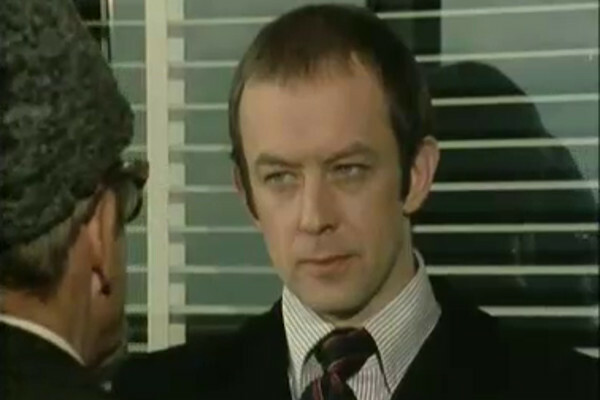 The revelation that this won't be a typical spy series but something more cerebral is summed up by Burnside in the closing minutes: "Special Operations doesn't mean going in with all guns blazing. It means special planning, special care. Fully briefed agents in possession of all possible alternatives. If you want James Bond, go to your library. But if you want a successful operation, sit at your desk and think." The indication that Burnside has more steel than this episode otherwise suggests is then met with his threat to a foreign agent proposing a drink: "If I had a glass in my hand at this moment I'd shove it down your throat." The Sandbaggers is such a quality show that the concept of "worst to best" is almost redundant. The bottom four are perhaps warranted, and the same applies to the top four or five, but the entries here from Nos. 6-16 could almost be in any order, the consistency is that high. What places A Feasible Solution this far down in the rankings is that there are several events in the episode that don't quite ring true. 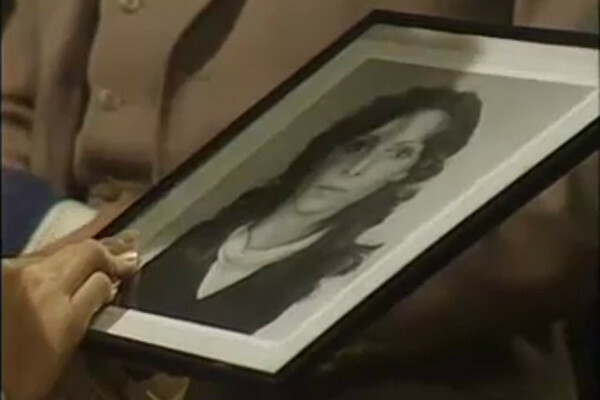 Both Willie and Burnside get a "twisted romance", as Willie falls for a KGB agent, despite being aware that she is one, and Burnside gets caught by his new Sandbagger Laura Dickens (the beautiful Diane Keen) in possession of a framed photograph of her in his house. Astonishingly she's flattered and not freaked out by such an occurrence, and Burnside continues to woo her, despite the fact that it surely breaches several standards of professional etiquette, none of which is mentioned by any of his superiors or peers. Such events are necessary in order to push the first season towards an outstanding conclusion, but it's a rare instance of the programme's plot mechanics feeling contrived. A decent enough episode that does, however, see the plots driving the characters rather than the reverse. Jeff Ross manipulating the SIS is a neat twist after he's been shown as a close ally in the programme, though his colleague Karen Milner (Jana Shelden, aka Catastophe Kate from Rentaghost) revealing the deception is perhaps a little harder to take. 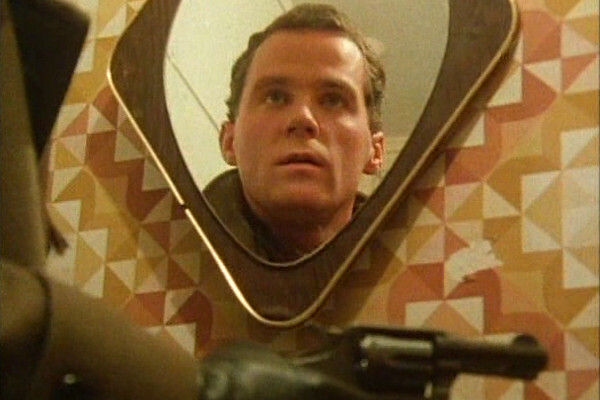 The secondary plot sees Mike under suspicion of not acting correctly on a mission, and subsequent attempts to discredit and disprove his conduct. While Cashman tried his best with the role, the part of the second Sandbagger was always underwritten and frequently overlooked, to the point where he never even received a credit in the opening titles. Wallace was brought on board as the "green" Sandbagger, but it was a situation that rarely changed, with the character seemingly undergoing little development throughout the thirteen episodes in which he appeared.